Encourse comes loaded with valuable features right out of the box. And we're always adding more. Here are just a few. Let students learn at their own pace, at the time that works for them. Perfect your material and scale the audience you can serve. On demand learning. Learn together. Unveil prepared content on specified dates. Schedule real-time collaborative sessions, test times and more. Unified interface for students, instructors and admins. 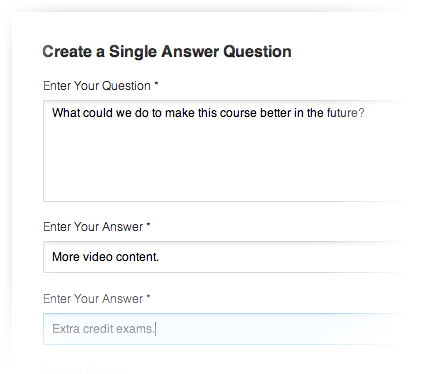 See your course content as students experience it. No jumping back and forth to a CMS to author or preview your course content. Accessibility features throughout. Helpful hints for content authors, because you have to do your part too. Equal access for all learners is our goal. A full set of tools to create and control learning, styling, users, reporting and everything else. No features disabled or additional ‘modules’ to buy. Hosted in Amazon’s Cloud (AWS) and delivered over a global CDN. Encourse effortlessly scales when you need it to. Easily segment learning into departments. Handy when you need to separate out geophysics and cooking classes for different audiences. Architected to support customization, Encourse provides hooks throughout the system, so we can accommodate almost any need. Encourse is friendly with Chrome, Firefox, Safari, Opera, and Intenet Explorer. It even accommodates crotchety IE8. Integrate your branding into Encourse for a seamless experience. 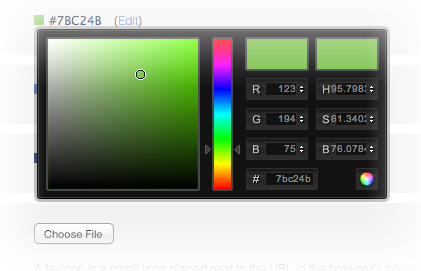 You can add your logos, customized footer, backgrounds, colors, and more. Open the doors and invite the masses to your courses. Or keep them a private affair. A flip of a switch is all it takes. Understand how your course materials are used in the real world. Harvest feedback to improve your training and make it more relevant. Native support for video and audio. Video from YouTube and other sources are welcome, as are slideshows, social snippets and all kinds of other embedded content. Encourse’s capabilities and data are available programmatically via a RESTful API. Not public yet. Ask us to learn more. Dashboards show you activity across all your learning content, by department, and by course. Zoom into user behavior in specific modules. Setup of an Encourse instance takes just one day. There’s nothing to install, quick to setup and its always up to date.